When John Thaw, the star of The Sweeney, Inspector Morse and Goodnight Mister Tom, died in 2002, a nation lost one of its finest actors. Sheila Hancock lost a beloved husband. In this unique double biography, she chronicles their lives - personal and professional, together and apart, growing up and growing older. 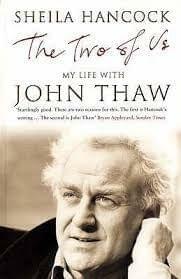 Written with honesty, wit and intelligence, The Two of Us is a remarkable book: a biography of a born actor and the complex man behind the roles; a portrait of a passionate marriage that weathered drink, separation and cancer; a raw, heartbreaking and sometimes bleakly humorous diary of life after bereavement and, above all, a wonderfully vivid evocation of two lives lived to the utmost.